It’s easy to take crossing guards for granted, and sometimes we forget how important their job is. With their fluorescent reflective vests and stop signs, crossing guards are instrumental in helping children get to and from school safely. If you are interested in hiring a crossing guard for an area near your school, contact your local police department or school board. Schools, law enforcement, government planning departments, and community members may implement a crossing guard program as a group or separately. A good transportation director is always thinking of ways to improve safety. Adopting a top-notch crossing guard program can help ensure students cross the street safely. Identify where guards are needed in your district: Prior to hiring anyone, you'll need to determine where crossing guards are needed. Any notorious blind turns? Unsignalized crosswalks? Consult with your school bus drivers or transportation director about their bus routes. Investigate roadways around your school’s perimeter: Some factors to keep in mind when identifying crossing guard locations include the ages of children who will be crossing, traffic volume and speed, traffic signals, number of traffic lanes, distance from school, and the types of surrounding buildings (residential vs. commercial). Don’t forget to get input from parents; many will know the location of problem areas. Hire and train crossing guards: Guards can be paid employees or volunteers, but must have good vision, hearing, communication skills, and the ability to stand for the duration of their shift. Additionally, guards must receive training on traffic laws, crossing procedures, how to signal drivers (using hand signals, a whistle, or stop sign), road signage, and emergency procedures. 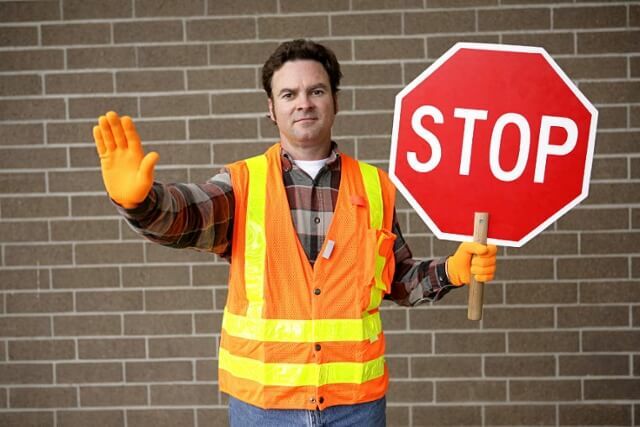 Provide uniforms and equipment: Ensure your newly-hired crossing guards are properly outfitted with safety visibility vests, stop signs, whistles, and any other tools they might need. Secure funds for your program: Having the best transportation safety program is impossible without proper funding. You can secure capital for your crossing guard program through local taxes, your school board, public works and traffic engineering departments, and Parent-Teacher Associations or Organizations. Modern technologies, like bus routing systems and electronic traffic signage, make getting to school safer — but nothing can replace the added security of the human crossing guards who provide an invaluable service to pedestrians. If you are seeking to improve transportation safety around your school district, review crossing guard programs and procedures at your next administrative meeting.